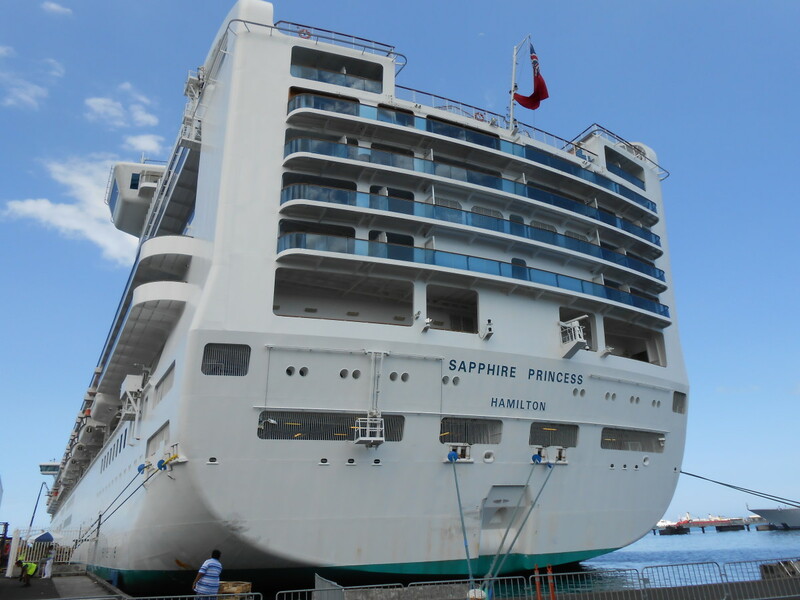 This article is part of a series showcasing cruise ships on the seven seas. Before we begin, we'll do a quick overview of cruise terms - to help you better understand the maritime terms which come with describing cruise ships. 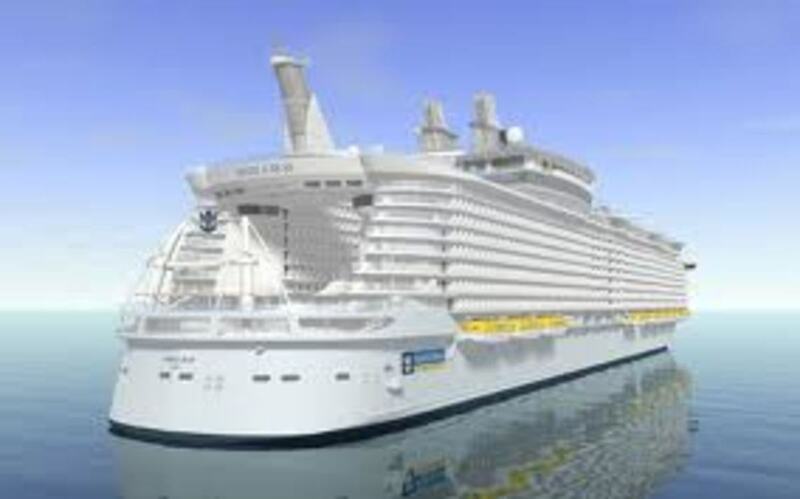 Gross Tonnage: Gross tonnage is the standard measurement of size of ship in the cruise industry. Despite the sound of its meaning, a gross tonnage is actually a measure of interior volume of space onboard, rather than actual ship weight. 1 gross ton is equal to 100 cubic feet of interior volume. Knots: A knot is the standard speed measurement of a cruise ship, or any maritime vessel for that matter. One knot is equal to one nautical mile per hour (a nautical mile being 6076 feet, rather than 5280 for land miles) 1 knot is roughly equivalent to 1.15 mph. Beam: The width of the ship, measured in feet or meters. Draft: The depth of the ship below the waterline. If diving underneath a vessel, this is how deep you would need to dive to reach the keel (bottom) of the vessel. 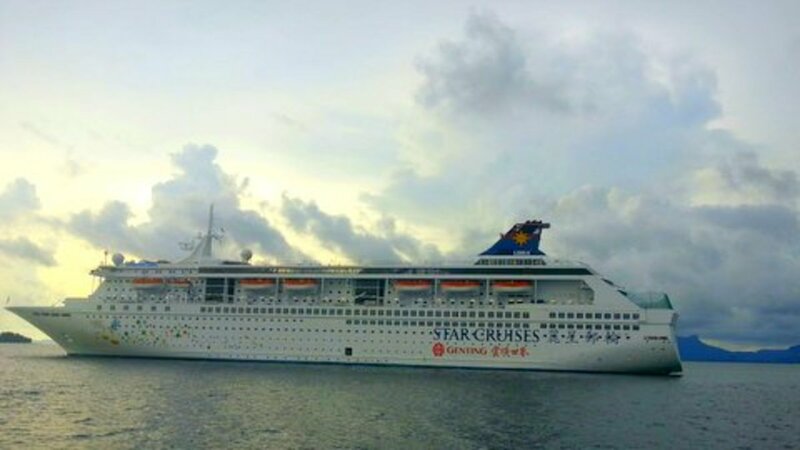 Guest Capacity (Double Occupancy) - Measured in terms of 2 guests per stateroom. Maximum capacity is a different measurement which is a function of the exact lifeboat capacity onboard. I.e., a cruise ship is not permitted to sail with a full guest and crew count which exceeds the lifeboat spaces available. 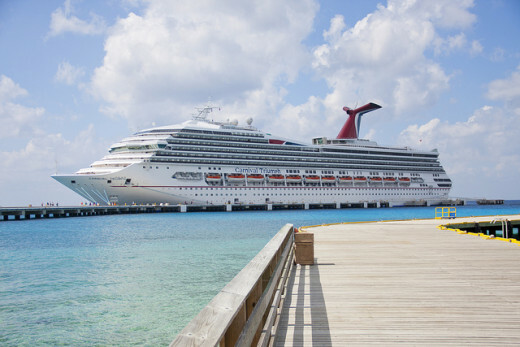 Ever been Onboard a Carnival Ship? All of Carnival's ships have a unique theme in each public space, designed around the central concept of the vessel. Though vessels built in the same ship class have similar deck plans, no two ships in the Carnival fleet have the same interior design. 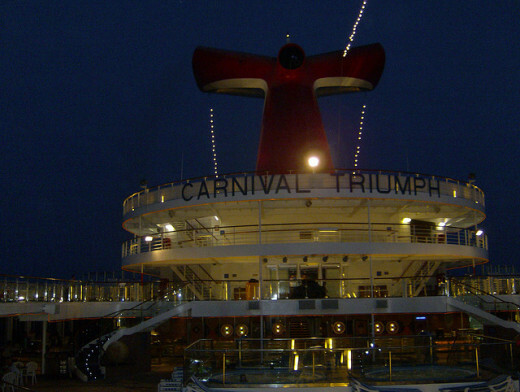 The Carnival Triumph's central concept is Great Cities of the World. The ship's public spaces are all named after famous cities - as the theme would suggest. Stepping onboard, you'll enter into The Capitol Atrium - soaring 8 decks with 4 glass elevators. The main promenade onboard is named World's Way. 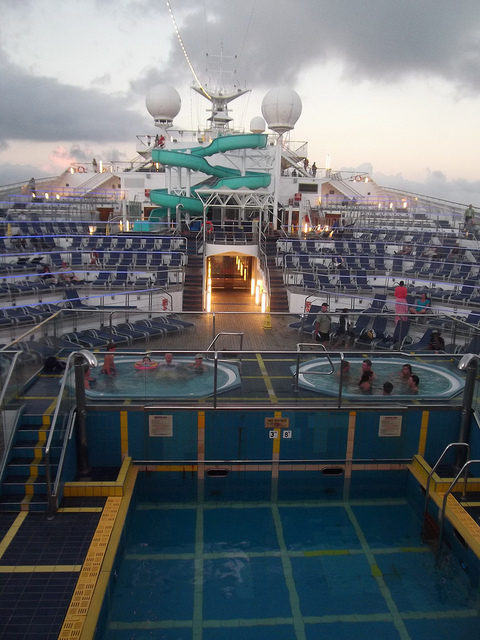 This promenade spans most of the length of the ship and provides access to most of the ship's bars and lounges. Here you'll find Club Monaco Casino, named after the famous city. You'll also find the Hollywood Dance Club, Venezia Lounge, the big easy piano bar and club rio aft lounge - a cabaret style show lounge onboard. The two main two story dining rooms onboard are named the London dining room and the Paris dining room. Finally, step into the Rome lounge - the multi-tiered main theater and you've traveled across the globe. Each space onboard is unique and offers a new surprise which really makes exploring the ship a lot of fun. Stateroom categories range from interior (no windows, though cozy), to ocean view, verandah (balcony) and of course, suites. There are many categories to choose from. Keep in mind, when booking you can either have the ship select the room for you, or you can do it yourself. The ship will often provide free upgraded categories (from my experience) if you let them choose - which is a nice bonus. However, if you do want to select, you'd want to shoot for a room close to one of the major elevator banks and ideally low and center if you are prone to motion sickness and would like the least vibration. Any room however will suit you well as guest rooms are not located in the very noisy and heavy motion areas. That's reserved for the crew! Keep in mind the cruise fare you pay generally determines the stature of your fellow guests. Pricey cruise? Expect elegant travelers. Cheap cruise? Expect college students and retirees. Of course every sailing does have a good mix and you can always find fellow cruisers with similar tastes in mind, given the number of guests sailing onboard. If you are looking for current pricing and availability for a cruise, Carnival's site offers up the latest information at Carnival.com. Keep in mind the ships do relocate often so any specific itinerary for this ship will change with time. If you've sailed onboard, how would you rate your experience?